The Fellowship Network was formerly known as the Full Gospel Fellowship of Churches and Ministers International. It was founded in 1962 out of the ’Voice of Healing’ Revival in America in the 1950s and 60s by such men as Gordon Lindsay, T.L. Osborn, Kenneth E. Hagin, Jack Coe and those of like faith, calling and purpose. We are proud to be a present-day member along with some of the finest leaders, churches and ministries from all around the world. Joan Hunter Ministries Joan Hunter is an internationally respected minister and author on healing the whole person spirit, soul and body. She is the apostle over her own healing and teaching ministry and the daughter of Charles & Frances Hunter who held amazingly successful “Healing Explosions” across America and in 49 nations. Joan received her parents’ mantle to add to her own, and now her ministry is exploding! God’s Generals Aspiring to be the best and most reliable one-stop resource for Christian History from a Spirit-filled perspective. Their goal is to educate absolutely everyone interested in church and revival history. 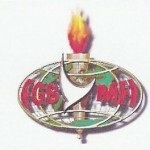 FGBMFI The Full Gospel Business Men’s Fellowship International is possibly the world’s largest organization of Christian businessmen committed to reach and empower men through the Gospel of Jesus Christ by the enabling of the Holy Spirit – changing lives, families, businesses and even nations around the globe. God used this fellowship to spread the charismatic move around the world. He still does. Not nearly as active as it once was in the country of its birth, the USA, this fellowship is still amazingly effective. FGBUK Full Gospel Business Men in the UK & Ireland with the same vision as founded the FGBMFI and associated globally with other business men’s organisations of similar purpose. Aglow International Aglow International is probably the world’s largest Christian women’s organisation – generally regarded as a sister organisation to the FGBMFI. Answers in Genesis Defend your faith, communicate the Gospel effectively, and provide answers to questions surrounding the book of Genesis, the most-attacked book of the Bible. Develop a biblical worldview, and expose the bankruptcy of evolutionary ideas, a “millions of years old” earth and an even older universe. This website provides all the ammunition you need. Heartlight Celebrating 20 years of ministry on the internet. 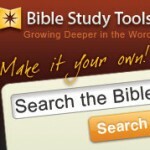 Christian graphics, articles, devotionals, Bible study, and a lot more.